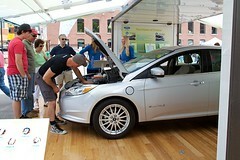 Produced in a plant that uses renewable agricultural waste, and manufactured with recycled materials, the 2012 Focus Electric was a big step in the direction of the green movement for Ford. 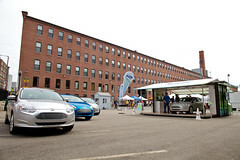 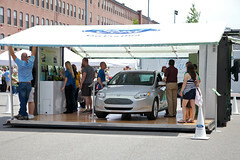 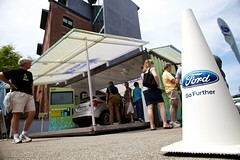 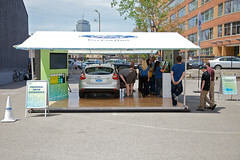 That’s why it was important to Ford that they share their amazing new product with people across the country in a way that gave them a chance to experience the Focus on a personal level and in an environmentally responsible way. 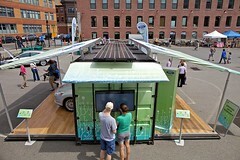 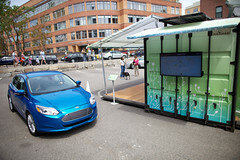 Starting with two repurposed 20’ shipping containers, we outfitted each container with solar power technology that provided each electric vehicle with the charging power required to operate. 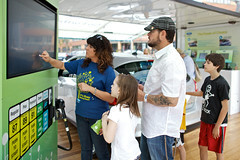 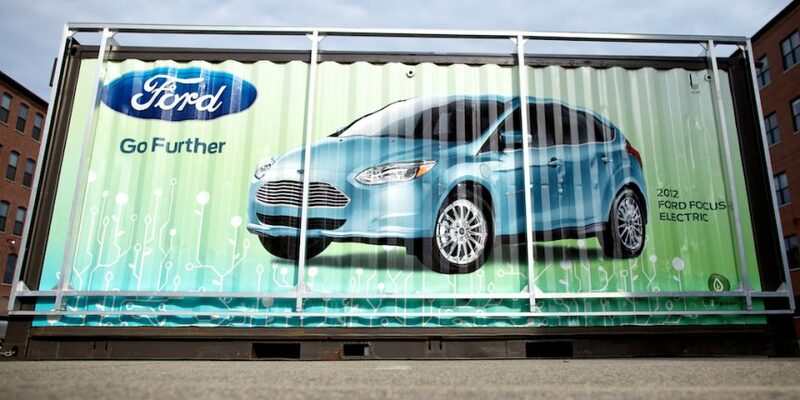 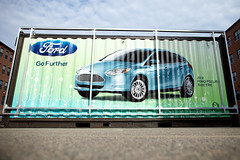 Each container also included multiple 32” touch screen monitors and were wrapped in Ford Focus branding which acted as moving billboards during transit. 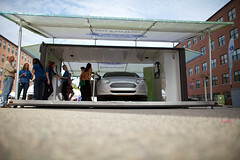 The two units toured different parts of the country concurrently.